At the early stages of the Millennium, cell phone usage drastically increased. With this new trend on the rise, the demand for new services on cell phones increased substantially. This opportunity helped establish the field of Value Added Services on cell phones. In the year 2002, Virtecha Solutions recognized the opportunity and challenge in creating a system that can effectively deliver and manage the variety of mobile services, such as SMS, and WAP Push. 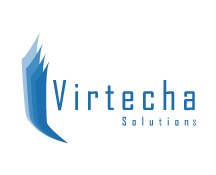 After a period of analysis and development, Virtecha Solutions created the Service Delivery Platform. The Service Delivery Platform delivers comprehensive Value Added Services through a variety of different modules, to provide advanced capabilities that will reflect all the markets needs and requirements. The Service Delivery Platform also has the ability to create custom features that can be continuously upgraded, and will fulfill all our clients special needs. The reliability and flexibility of the SDP is due to the strong technical proficiency of Virtecha’s developers, as well as the 15 years’ experience with maintaining and upgrading the SDP. SF reports give you statistics, subscriber insights and other data to help you make the most of Value Added Services. The Factory can be fully customised and run on any platform, with any web browser that supports Java script and Java applets. Want access to VAS services from remote locations? Send SMS or Push notifications? Upload content individually, in bulk or in timed slots? Done. Part of The Service Factory, this is an access-anywhere web tool to create competitions and voting sessions. Votes are handled though user-sent SMS, which contain a keyword to activate the competition or session on a cell phone – particularly effective in running on-air TV or radio station promotions. The tool comes with complete statistical information, plus a selector to help choose your winner(s): now it’s easy to keep your listeners, viewers and readers fully engaged. The Messaging Gateway (or SMS Gateway) is part of the Service Delivery Platform, and manages communication between the mobile operator and service subscribers. The system enables continuous monitoring and real-time connectivity alerts. The Gateway supports flash, SMS and WAP Push. External APIs are used to integrate the Digital Messaging system with third-parties to send bulk messages systematically. An effective web tool to receive, view and manage SMS messages to/from subscribers. The tool lets you define a folder for each group (e.g., radio programmes or TV shows) and automatically file messages based on defined text strings. Each folder contains four views: main (new messages); read; deleted and reply (sent folder). You can also store MSISDNs to create your own contacts lists. Fully configured for reports, tracing and back ups. SMS to HTTP makes this integration easy and effective – without a technical background. As part of The Service Factory, you can access this tool via the internet at any time and from any where. Want to run SMS competitions? From small giveaways to mega competitions, Competition Factory helps you manage and organise your promotional activity from one location. Competition Factory is part of the Service Delivery Platform, an access-anywhere web tool. Using the Factory, you can broadcast daily questions (two-choice answers) and teasers to subscribers, receive SMS answers, manage requests (e.g., for help) and automatically filter correct and incorrect answers. Follow Up: the standard question type, and the most used. Broadcast: Usually scheduled as the first in a series of questions, a broadcast message can include a promotional or introductory message, and is manually sent. Promotion: A promotional message sent to increase engagement in the competition, and which can be sent to a particular group of subscribers. Get statistical reports on hits across categories, competitions etc. The SMS Chat system is a chat service that allows its users to meet and chat with their friends wherever they might be. The SMS Chat provides its users with a complete chat system, that allows them to send messages and participate in discussions in groups and rooms that suit the user’s choice of topics. The SMS Chat boasts flexibility with the methods of delivery of the message, as the SMS Chat can be accessed via the SMS, WAP push, and web interfaces. This helps create a flexible chat service that doesn’t always require an internet connection to use the chat. The TV streaming system allows its users to easily watch TV channels on their mobile handset [EAZ] any time anywhere by accessing a mobile operators network that supports high quality streaming. This TV streaming solution offers everything you need in one integrated platform and give you the ability to provide a limited number of TV channels in a user friendly interface.